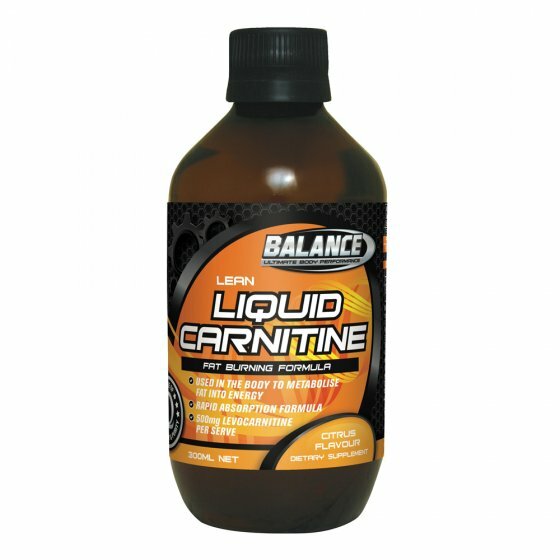 Balance Liquid Carnitine provides carnitine, an essential fat metabolising amino acid, in a convenient liquid form. Carnitine is an important nutrient in fat metabolism. How can Balance Liquid Carnitine help me to achieve my training goals? Directions: Take 1 to 3 servings daily or as directed. Recommended Use: Adult Serving SizeL10ml. Shake well before use. Take 1 to 3 servings daily or as directed, as a source of Carnitine. Take evenly throughout the day, including one before training.